Upcoming Exiting Cannes Film Festival 2019 – Art, Food, Travel and Fashion! Arguably the most prestigious film festival in the world, the annual Cannes Film Festival is a glittering celebration of cinema. The event will, as always, draw the biggest names in the film industry to Cannes for 11 days of movie screenings, red carpet action and exclusive parties. The Festival de Cannes has remained faithful to its founding purpose: to draw attention to and raise the profile of films. A panel of judges, last year headed up by Cate Blanchett, awards a number of prizes to the top films premiered at the event. 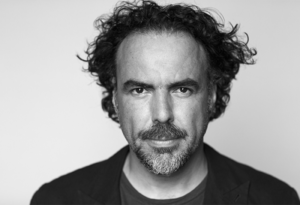 This year, Mexican director Alejandro González will lead the jury at the Cannes Film Festival. Following in the footsteps of Cate Blanchett, the multi-award winning Mexican director, (who has received Oscars for Best Film, Best Director and Best Original Screenplay in 2015 for Birdman, as well as the Golden Globe for Best Motion Picture Drama and Best Director for The Revenant in 2016) is no stranger to the Croisette. “Cannes is a festival that has been important to me since the beginning of my career. I am humbled and thrilled to return this year with the immense honor of presiding over the Jury, he has declared. Cinema runs through the veins of the planet and this festival has been its heart. We on the jury will have the privilege to witness the new and excellent work of fellow filmmakers from all over the planet. This is a true delight and a responsibility that we will assume with passion and devotion.” The director will award the Palm d’Or on the evening of May 25. 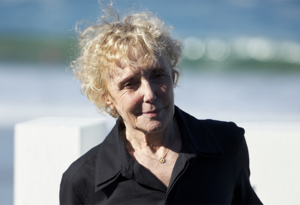 French filmmaker and screenwriter Claire Denis is to lead the Short Films and Cinéfondation Jury of the 72nd Festival de Cannes. Claire Denis will succeed Abderrahmane Sissako, Naomi Kawase, Cristian Mungiu and Bertrand Bonello. On Thursday May 23, along with her jury, she will award the three prizes of the Cinéfondation among the 17 film students’ works presented. On Saturday May 25, she will award the Short Film Palme d’or at the Closing ceremony of the 72nd edition of the Festival de Cannes. Claire Denis has occupied a unique place in contemporary cinema for more than 30 years. She has directed a compelling body of work, including 13 feature films, four of which were screened in the Festival de Cannes’ Official selection. A true adventurer, she has established her taste for observation and experimentation throughout her artistic journeys, navigating between introspection and openness to the world. Netflix remain a no go in Cannes in part due to its complicated relationship with the festival, but also because many of its most anticipated titles — Martin Scorsese’s “The Irishman,” Noah Baumbach’s untitled Adam Driver vehicle, and the Safdie brothers’ “Uncut Gems” among them — won’t be ready in time. 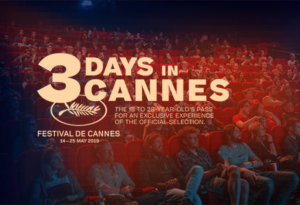 The 3 Days in Cannes pass is back. Last year, the “3 Days in Cannes” youth pass allowed young cinephiles access to the Official Selection, including Special screenings, Cannes Classics, Competition, Out of Competition, Un Certain Regard and Cinéma de la Plage, as well as access to the Palais des Festivals and a special program at Les Arcades cinema on the final three days of the festival. How do you apply for the pass? Send an application letter, just here, outlining your love and passion for cinema. The Semaine de la Critique 2019 has unveiled its poster magnetic face of Félix Maritaud, the winner of the Louis Roederer Foundation Revelation Prize last year, for his troubling yet poignant depiction of a prostitute in search of love in Sauvage. Nespresso Talents competition is returning for its fourth edition enables passion for highly creative cinema to be shared among professionals and amateurs alike. The idea? Each amateur competitor creates a short film in response to the theme, “We Are What We Eat” to be presented to a prestigious panel of film professionals, foodies, comedian Nora Hamzawi, basketballer Boris Diaw and the founder of Le Fooding, Alexandre Cammas. The three winners, chosen from the 10 directors will receive a 48,000 euro prize, and a ticket to the Cannes Film Festival during which their film will be presented. They will also have the chance to meet representatives of Critics Week, for mentoring by experts in cinema. With applications still open, it’s a golden opportunity to dip a toe into the world of film making.